Reputable leaker points at both features being there, but Nintendo hasn't shown them. The Nintendo Switch reveal trailer showed a lot, and confirmed a lot about the console, but one of the main questions after the reveal remains: does the Nintendo Switch have a multi-touch screen when in handheld mode? Leaks before the reveal talked about multi-touch capacitive screen (the same technology used by mobile devices), but there's no one touching the screen on the Nintendo Switch trailer, and no touch-based game shown. However, this could very well be part of the marketing strategy as well. 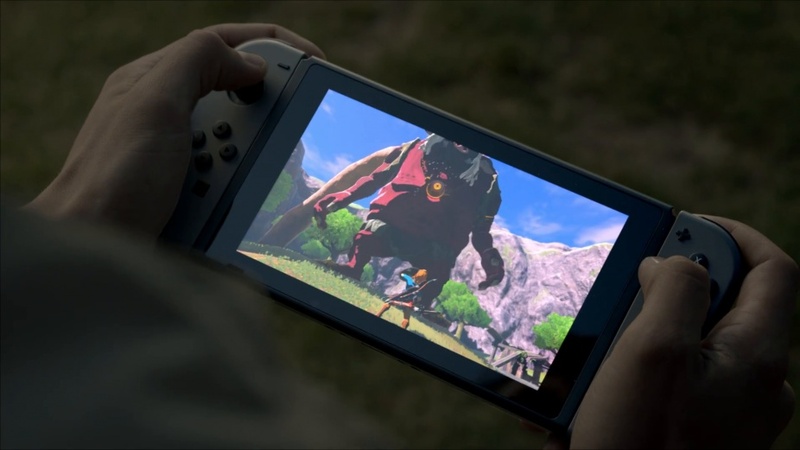 With a developer so used to touch and motion game concepts, it would be weird not to see any of them in such a multivalent device, and we have to keep in mind Zelda: Breath of the Wild uses both functions on the Wii U GamePad. Now, adding to this, reputable leaker Laura Dale, who was right with several facts pre-reveal, hints at not only multi-touch screen, but also some out of the box solution for a potential IR-pointing feature. This would also allow users to point at the portable screen if at all needed, and it wouldn't be the first time Nintendo have integrated the sensor bar into the handheld unit, as it're actually there on the Wii U GamePad. Remember though, this is all speculation so far and the solution to having "touch" features on the TV screen seems, at this moment, pretty obscure and far-fetched (even if somewhat smart). Other expected features, such as Amiibo connectivity, were not shown, but they were hinted at during the video and later confirmed by Nintendo reps. In any case, Nintendo assures there are more Switch features to reveal. What do you make of the IR pointing possibility and other potentially 'secret' features? Leave a comment below.